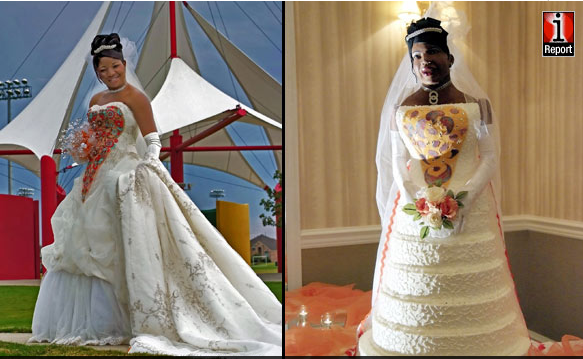 Anyway, for her September 22, 2007 wedding, she had a cake made in her likeness! Not my style, but she gets points for creativity! But I have a lot of questions. 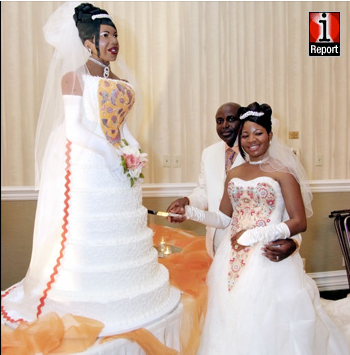 When the groom ct the cake, where did he stick the knife? Did they cut up the cake in plain sight? Or come back with plates of body parts for dessert? Did she save the head to eat on their one year anniversary? 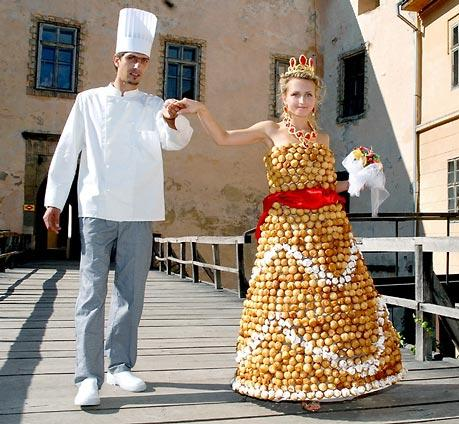 Speaking of strange food-related weddding dresses... in 2006, a Ukrainian pastry chef, Valentyn Shtefano, made HIS bride's dress out of cream puffs - 1,500 of them combined in a dress that weighed 20 pounds!